Making content that converts, bring leads and sales is a tough ask, you need to have a marketing strategy that keep your audience interested. Today on SaveDelete.com we will be talking about eight excellent ways to make your content in a way that converts. Any business will do wonders if it meets the needs of their users. Content marketing works the same way. You need to find out about your audience, their needs, values, frustrations and demographics. You can find about your audience by some ways, like – asking them to fill a survey, going to relevant forums, question answer communities (Quora/Yahoo Answers), use social media, use Google Analytics, read magazine and blogs they read. As discussed above, your visitors would love your content, only when you provide them their needs. Getting engagement from them can only happen if you have something useful. Topics that you create have to be interesting and they should address primary concerns and pain points, this way you can establish your command or authority. Also, make sure your topics are highly specific and not for a broad audience. For example, if you are expert in SEO your article can be Best SEO Tools or it can be more specific like Best SEO Tools for Digital Marketers. Headlines play an important role in content marketing. The content isn’t a king anymore but the headline is. You need to see the results of more than 50 years of copywriters like Eugene Schwartz. He used the headline technique to capture audience and today sites like Buzzfeed use this headline grabbing method very commonly. Just make sure you keep your headline for a purpose and catch user attention for reading your content. Grab your users attention with a headline and make him/her read the post by starting with a hooking first sentence. For this use lines like Describing a problem, Asking a question or tell them a shocking statistic. When you make content to build a connection, your audience will lead you to profits by giving you a sale. Different type of audience will have a different kind of ways to create connections. You can address your audience of Marketing by telling them to save time over saving money, whereas Entrepreneurs should be shown to save money instead of time. So, knowing your audience is an essential way to build rapport and, in turn, building a connection. When you solve a problem by educating your readers and providing them with a well planned informed opinion, you will lead them to purchase products that you recommend. Make your efforts of making content are right and it help people with their general and specific queries. Positive and negative emotions work better than a rational tone. Studies from the past have shown how an emotionally written peace will always perform better than a normal one. Positive emotions will give your readers a chance to be happy, joyful and satisfaction while negative emotion will provide frustration, anxiety and fear. In these two emotions Positive emotions work better, but in some cases, negative emotion can be more lead worthy. Negative emotion can be like – Start by telling them a problem and how agitated you feel about it. The problem or issue can be a big or small one. Then Solve the problem and reveal all kind of possible solutions. This way you are funneling your content. After you have made your audience emotional and have solved their problem, offer them a call to action like a newsletter, ebooks, product, webinar or a service. Make the call to action at a place that’s prominent and visible at several positions like homepage, end of an article, pop-ups or sidebar. Tell them benefits and what unique piece will be fulfilled by you. You can also show them testimonials and figures that demonstrate your effectiveness. 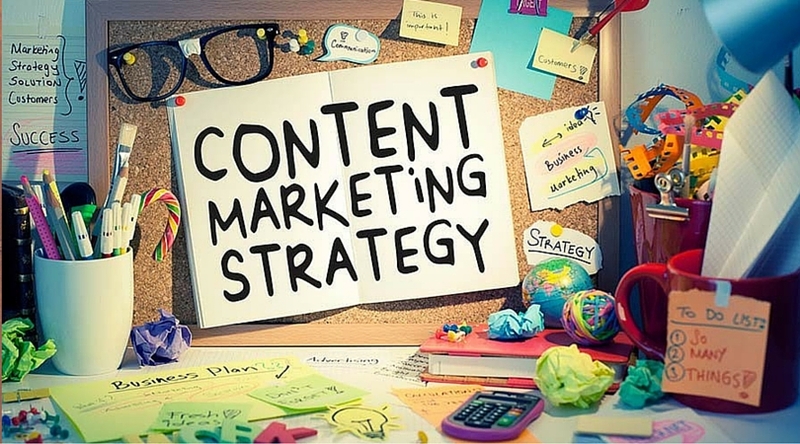 This journey of content marketing will give you audience that you need. So, grab attention, bind them to your content, start building a connection and then make your offer. They would never say no to you, once you do it all.